Hiring Workampers for 15+ years! The Black Hills of South Dakota continues to pull at the heartstrings of outdoor enthusiasts for decades, and Lake Park Campground and Cottages is your place to stay, play and work in Rapid City! 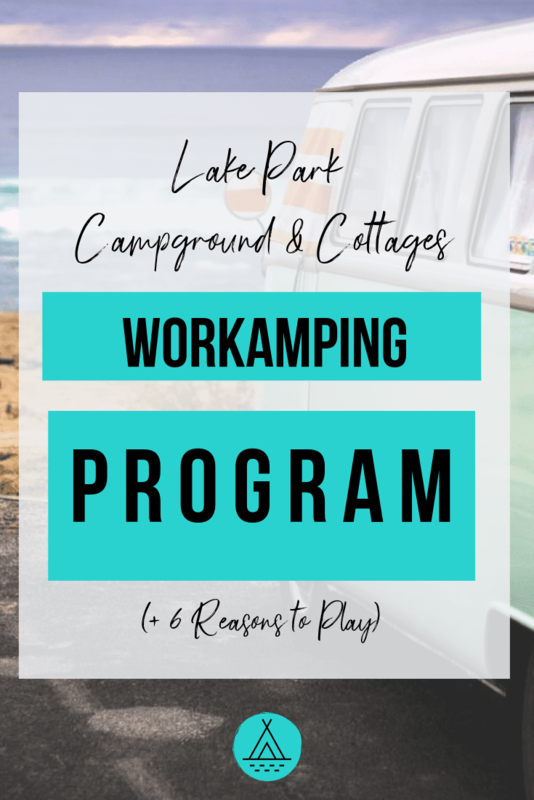 A small campground with just 36 RV sites and 28 cottages, ranging from studio units with kitchenettes to large 4 bedroom/3 bath vacation homes sleeping up to 16 people, the Lake Park Campground and Cottages has something for everyone, including Workampers looking for a long-standing Workamping employer program with years of experience. With over 15 years of history hiring Workampers, the Lake Park Campground and Cottages in Rapid City, South Dakota has built an RV employment opportunity you might be interested for next summer. Starting by recruiting primarily through word of mouth, the owners discovered Workamper News Magazine and stepped it up a notch- reaching thousands of more RVers for their open positions season after season! Over the years, they even put in a couple of designated Workamper RV sites that are a bit more separated from the hustle and bustle of the main campground, to offer privacy to those who want to kick back and relax after their shifts are over. This also allowed them to, “ hit our opening date with a full staff on board” and be ready to go when the first swarm of guests roll in! Offering $12.00 per hour (after the first 16 per couple) they invite you to join their team for the peak season with a $3.00 per hour completion bonus! From May 1 – about October 1, you can call Lake Park Campground and Cottages your home. Given a level, shaded FHU spot with cable TV and WiFi- you might not want to leave, when the time comes… After all, you’ll be spending up to 5 months in a prime tourist destination with fantastic outdoor recreation opportunities like biking, hiking, fishing, and golfing all within walking distance. Employment for Workampers at the Lake Park Campground and Cottages covers two main areas: Front Desk and Housekeeping. Both positions will require you to be physically active with the ability to move around throughout the day, stand up and sit down repeatedly, lift up to 40 pounds, and be on your feet for extended periods time throughout your shift. Housekeeping will require some additional physical capabilities, such as squatting, bending over, kneeling, crouching and other movements that are required to reach hard to access areas, and complete general tasks such as mopping, bed making, and wiping down floors. The House Keeping shift normally starts around 9 am and generally run 3 to 6 hours each day. A single housekeeper will clean between one and three cottages a day depending on the size of the unit. “A typical two-bedroom cottage takes a single person from one and half to two hours to complete. A Workamper couple cleaning together should be able to do one cottage per hour.” The housekeeping position allows couples to work together with the same schedule and days off. The office at the Lake Park Campground and Cottages is open from 8 am to 9 pm daily. These hours are divided between two shifts that are from 6 to 8 hours long each. Working at the front desk will include evening shifts, working weekends and some housekeeping tasks as well. Folks who have great customer service skills, a killer personality and some computer skills should do well in these roles. Responsibilities will include answering the phone, taking reservations, checking in guests, general problem solving and answering questions from customers. In this position you will also spend time away from the front desk station, helping guests park their RVs, assisting in the laundry room, general area cleaning, raking, and attending to outdoor watering. For those who like variety in their days, this position would be ideal! The Lake Park Campground and Cottages, is more than just a great place to work… It’s also a great place to stay & play for those who are traveling through the area with a remote income source or no need employment needs! It’s been awarded the Great Service Awards for 25 + years from the South Dakota Department of Tourism, is centrally located to the entire BBlack Hills area, and has 101 5-star reviews from past travelers on Trip Advisor!!! It’s located just 4 miles from Rapid City’s Historic Downtown Shopping and Dining Area! It’s walking distance to Cleghorn Springs Fish Hatchery, City Parks and Shelters, Meadowbrook Golf Course, & Chapel in the Hills. It’s walking distance to Canyon Lake Parks with Frisbee golf and tennis courts. In 10 to 20 minutes you can easily be at Bear Country USA, the Reptile Gardens, and many other Black Hills Attractions! Bike rentals are available onsite, and the 7-mile paved trail along Rapid Creek is calling your name!